staff and great support from AVEDA. 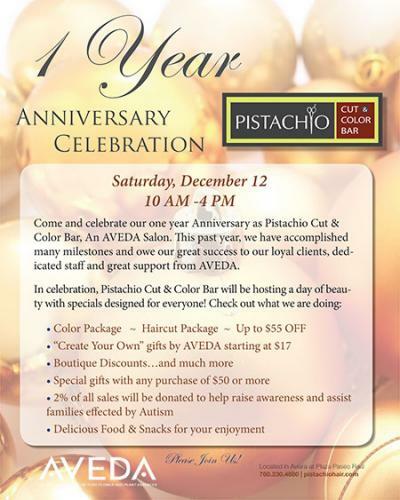 2% of all shampoo and conditioner sales will be donated to help raise awareness and assist families affected by Autism!! !